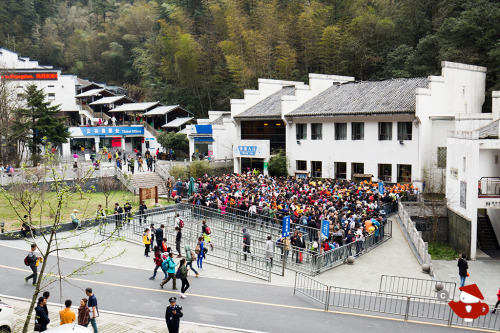 We’re finally at our last report about our Spring 2015 sourcing trip to China! 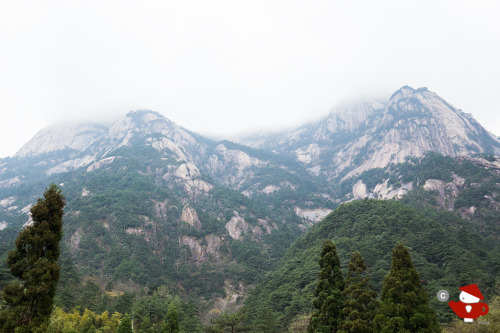 Prior to leaving Huangshan (黃山), Yellow Mountain, and visiting Qimen (祁門), we made an attempt to visit the UNESCO World Heritage Site to explore the beautiful granite peaks. However, when we saw the 2+-hour long wait to get into the park itself (at 8am! ), we knew there would be no way we’d have time to properly explore the park. So we made our way to Qimen, which was about 2.5 hours southwest of Huangshan City. Qimen Black Tea (祁門紅茶), another one of China’s 10 Famous Teas, is produced exclusively in Qimen County. Qimen Black Tea is also known as Keemun Black Tea. 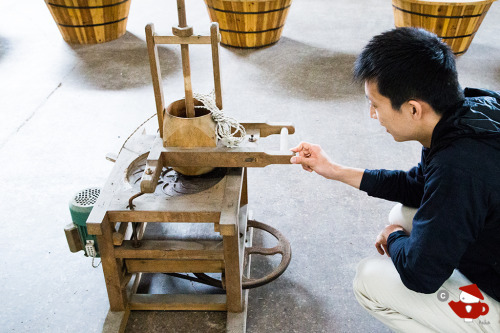 It was first produced by a man named Yu Gan Chen, who learned of black tea processing in the Fujian Province. 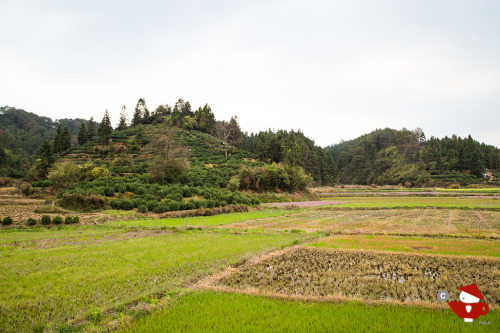 Previously, the region had only produced green tea–in fact, Qimen Black Tea uses the same cultivar as Huangshan Mao Feng Green Tea. Qimen Black Tea is one of the few black teas that is harvested early in the Spring, since it uses only the top bud and the top two or three leaves. 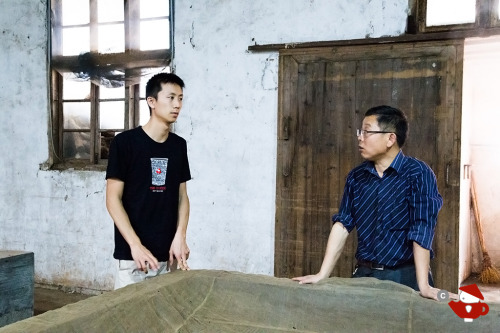 Since we had never sourced any teas from Anhui, we had no growers or processors to call upon during our visit. So, as with Mr. Wang at Huangshan, we learned about Mr. Lee through the Internet! Since it was still early in the season for Black Tea, Mr. Lee didn’t have much tea to process. Typically, these brick containers would be filled with tea leaves. 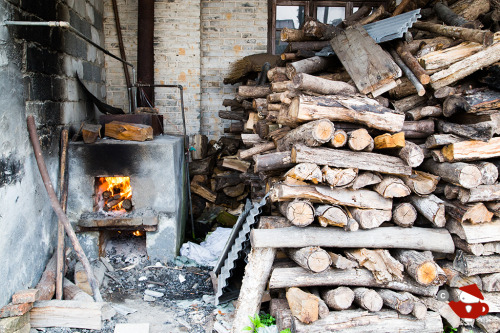 Firewood would be placed beneath the containers to produce and circulate heat to wither the leaves. This also gives the tea a smoky aroma. 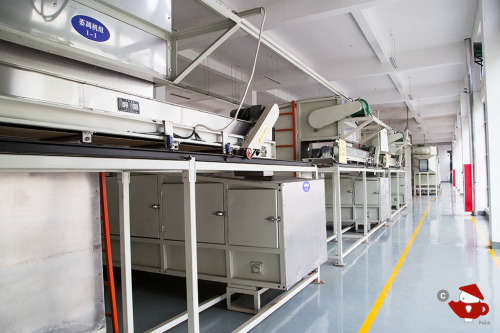 After the leaves have been dried and softened through withering, they are rolled using mechanical rollers such as the ones below, in order to break down cellular structure of the leaves to release enzymes. This “damage” to the leaves also triggers oxidation. The tea would then be covered with a wet cloth, and allowed to oxidize for up to 12 hours. 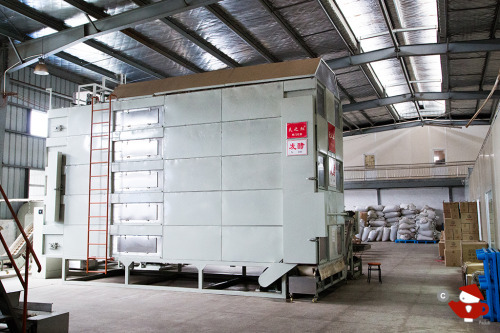 After oxidation, the tea leaves would be transferred to giant heated conveyor belts for drying. 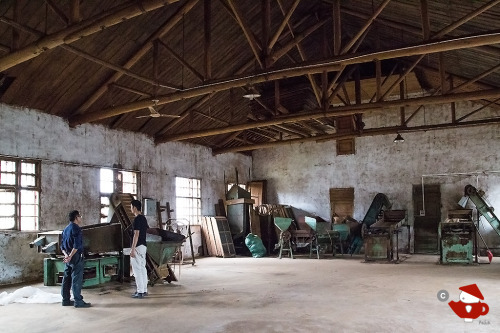 During the actual production season, this room would be filled with machines, and processed tea leaves would be covering the floor. The final step of the process is sorting, where workers hand-pick out the branches, bad tea leaves and other undesirable inclusions). Mr. Lee’s tea factory is considered a mid-sized factory. Along the road were a few large factories, including the one we visited below. This factory is one of the largest in the area, and it was clear to us why. The fermentation tanks were enormous! 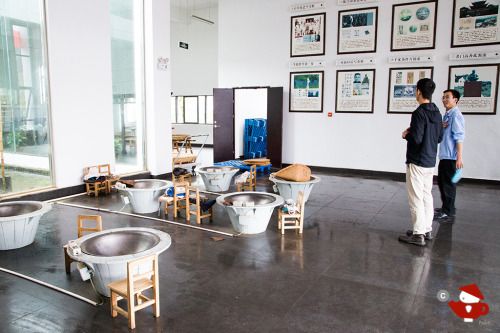 The factory also wok-fried its tea using electric woks. They even had the tiniest rollers! Since no one was available to speak with us at this company, we moved on to another large company in the area. This was the cleanest, most tidy factory we visited during our entire Sourcing Trip. Look at those tiny chairs! 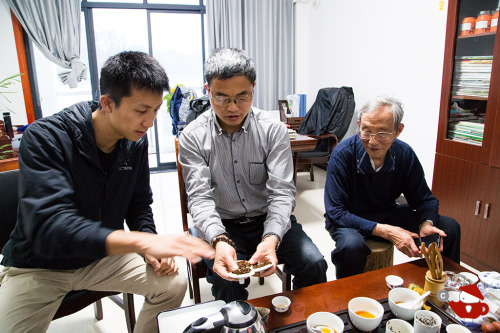 After a tour of the plant (unfortunately, they were not yet processing any black tea), we sat down for a round of tastings of the most exquisite Qimen Black Teas from last year’s harvest with the company’s top executives. Qimen Black Tea is most recognized for being a main catalyst behind the development of British tea drinking culture. The robust and full flavor pairs perfectly with cream and sugar–it’s no wonder that black tea from Qimen quickly became one of the key ingredients in English breakfast tea blends. When sipped straight, in the traditional Chinese manner, Qimen Black Tea is both bold yet subtly smoky and sweet. 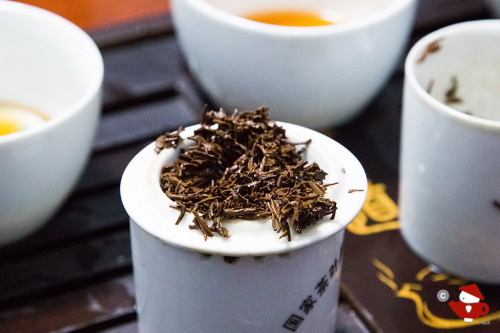 The Qimen Mao Feng (祁門毛峰), which is made from two leaves and a bud from the earliest Spring or Summer harvest, is the highest-quality version of Qimen Black Tea, followed by the Qimen Hao Ya (祁 毫芽). 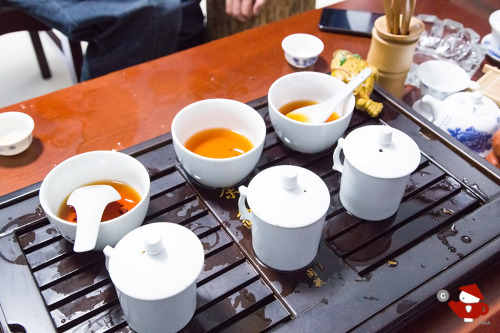 There are also two versions of the tea that is specifically processed for those who prefer the Gong Fu style of enjoying tea, the Gong Fu version and the Qimen Xin Ya (祁門新芽). Unfortunately, since it was the end of the day, and the weather wasn’t cooperating (it had been raining all day! ), we were not able to visit the company’s tea farms. The factory also hadn’t started harvesting tea yet, so we agreed to visit them again when we return to China for another sourcing trip. We are considering carrying Qimen Black Tea at Asha, so be sure to check in often to see if we decided to add this exquisite tea to our collection! This concludes our final post about our Spring 2015 Sourcing Trip in China. 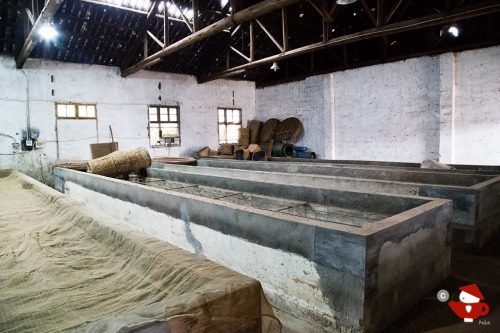 We hope you have enjoyed reading about our adventures in sourcing tea, and about the tea industry in China and the origins of the teas we serve at Asha. In case you missed any of our posts, you can find them at our website: http://www.ashateahouse.com/pages/origins.